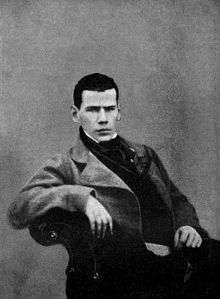 One characteristic of Romanticism was the conscious creation of bodies of nationalist art music. 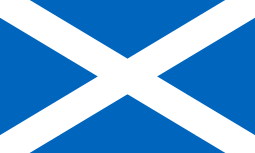 In Scotland this form was dominant from the late eighteenth century to the early twentieth century. 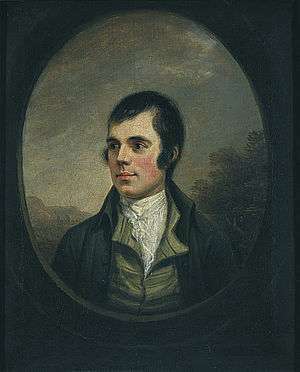 In the 1790s Robert Burns embarked on an attempt to produce a corpus of Scottish national song, building on the work of antiquarians and musicologists such as William Tytler, James Beattie and Joseph Ritson. Working with music engraver and seller James Johnson, he contributed about a third of the eventual songs of the collection known as The Scots Musical Museum, issued between 1787 and 1803 in six volumes. Burns collaborated with George Thomson in A Select Collection of Original Scottish Airs, published from 1793 to 1818, which adapted Scottish folk songs with "classical" arrangements. 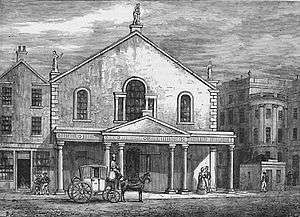 Thompson was inspired by hearing Scottish songs sung by visiting Italian castrati at the St Cecilia Concerts in Edinburgh. He collected Scottish songs and obtained musical arrangements from the best European composers, who included Joseph Haydn and Ludwig van Beethoven. Burns was employed in editing the lyrics. A Select Collection of Original Scottish Airs was published in five volumes between 1799 and 1818. It helped make Scottish songs part of the European cannon of classical music, while Thompson's work brought elements of Romanticism, such as harmonies based on those of Beethoven, into Scottish classical music. Also involved in the collection and publication of Scottish songs was Scott, whose first literary effort was The Minstrelsy of the Scottish Border, published in three volumes (1802–03). This collection first drew the attention of an international audience to his work, and some of his lyrics were set to music by Schubert, who also created a setting of Ossian. James Allard identifies the origins of Scottish "Romantic medicine" in the work of Enlightenment figures, particularly the brothers William (1718–83) and John Hunter (1728–93), who were, respectively, the leading anatomist and surgeon of their day and in the role of Edinburgh as a major centre of medical teaching and research. 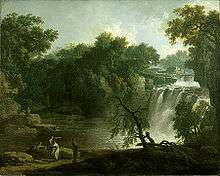 Key figures that were influenced by the Hunters' work and by Romanticism include John Brown (1735–88), Thomas Beddoes (1760–1808) and John Barclay (1758–1826). Brown argued in Elementa Medicinae (1780) that life is an essential "vital energy" or "excitability" and that disease is either the excessive or diminished redistribution of the normal intensity of the human organ, which became known as Brunonianism. This work was highly influential, particularly in Germany, on the development of Naturphilosophie. This work was translated and edited by Beddoes, another graduate of Edinburgh, whose own work, Hygeia, or Essays Moral and Medical (1807) expanded on these ideas. Following in this vein, Barclay in the 1810 edition of the Encyclopaedia Britannica identified physiology as the branch of medicine closest to metaphysics. 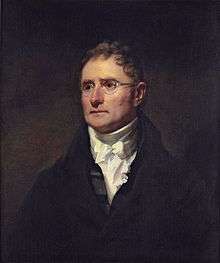 Also important were the brothers John (1763–1820) and Charles Bell (1774–1842), who made significant advances in the study of the vascular and nervous systems, respectively. 1 2 A. Chandler, A Dream of Order: the Medieval Ideal in Nineteenth-Century English Literature (London: Taylor & Francis, 1971), p. 4. ↑ S. Swift, Romanticism, Literature And Philosophy: Expressive Rationality in Rousseau, Kant, Wollstonecraft And Contemporary Theory (Continuum International Publishing Group, 2006), ISBN 0826486444. 1 2 M. Drabble, The Oxford Companion to English Literature (Oxford: Oxford University Press, fifth edn., 1985), pp. 842–3. 1 2 I. Brown, The Edinburgh History of Scottish Literature: Enlightenment, Britain and Empire (1707–1918) (Edinburgh: Edinburgh University Press, 2007), ISBN 0748624813, pp. 229–30. 1 2 I. Brown, The Edinburgh History of Scottish Literature: Enlightenment, Britain and Empire (1707–1918) (Edinburgh: Edinburgh University Press, 2007), ISBN 0748624813, p. 231. 1 2 I. Brown, The Edinburgh History of Scottish Literature: Enlightenment, Britain and Empire (1707–1918) (Edinburgh: Edinburgh University Press, 2007), ISBN 0748624813, pp. 185–6. ↑ I. Chilvers, ed., The Oxford Dictionary of Art and Artists (Oxford: Oxford University Press, fourth edn., 2009), ISBN 019953294X, p. 554. ↑ The Houghton Mifflin Dictionary of Biography (Houghton Mifflin Harcourt, 2003), ISBN 061825210X, pp. 34–5. 1 2 C. W. J. Withers, Geography, Science and National Identity: Scotland Since 1520 (Cambridge: Cambridge University Press, 2001), ISBN 0521642027, pp. 151–3. ↑ E. K. Waterhouse, Painting in Britain, 1530 to 1790 (Yale University Press, fifth edn., 1994), ISBN 0300058330, p. 293. 1 2 D. Campbell, Edinburgh: A Cultural and Literary History (Signal Books, 2003), ISBN 1902669738, pp. 142–3. ↑ C. C. Ochterbeck', ed., Michelin Green Guide: Great Britain Edition (Michelin, 5th edn., 2007), ISBN 1906261083, p. 84. ↑ I. Chilvers, ed., The Oxford Dictionary of Art and Artists (Oxford: Oxford University Press, fourth edn., 2009), ISBN 019953294X, p. 433. ↑ R. J. Hill, Picturing Scotland Through the Waverley Novels: Walter Scott and the Origins of the Victorian Illustrated Novel (Aldershot: Ashgate, 2010), ISBN 0754668061, p. 104. ↑ D. Kemp, The Pleasures and Treasures of Britain: A Discerning Traveller's Companion (Dundurn, 1992), ISBN 1550021591, p. 401. ↑ A. Jackson, The Two Unions: Ireland, Scotland, and the Survival of the United Kingdom, 1707–2007 (Oxford: Oxford University Press, 2011), ISBN 019959399X, p. 152. ↑ I. D. Whyte and K. A. Whyte, The Changing Scottish Landscape, 1500–1800 (London: Taylor & Francis, 1991), ISBN 0415029929, p. 100. ↑ L. Hull, Britain's Medieval Castles (London: Greenwood, 2006), ISBN 0275984141, p. 154. ↑ M. Glendinning, R. MacInnes and A. MacKechnie, A History of Scottish Architecture: from the Renaissance to the Present Day (Edinburgh: Edinburgh University Press, 2002), ISBN 978-0-7486-0849-2, pp. 276–85. ↑ Henry-Russell Hitchcock, Architecture: Nineteenth and Twentieth Centuries (Yale University Press,, fourth edn., 1989), ISBN 0300053207, p. 146. ↑ G. Stamp, "The Victorian kirk: Presbyterian architecture in nineteenth century Scotland", in C. Brooks, ed., The Victorian Church: Architecture and Society (Manchester: Manchester University Press, 1995), ISBN 0719040205, pp. 108–10. ↑ M. Glendinning, R. MacInnes and A. MacKechnie, A History of Scottish Architecture: From the Renaissance to the Present Day (Edinburgh: Edinburgh University Press, 1996), ISBN 0-7486-0849-4, p. 552. 1 2 3 4 5 6 M. Gardiner, Modern Scottish Culture (Edinburgh: Edinburgh University Press, 2005), ISBN 0748620273, pp. 195–6. ↑ H. Matherson, "Robert Burns and national song", in D. Duff and C. Jones, eds, Scotland, Ireland, and the Romantic Aesthetic (Associated University Presse, 2007), ISBN 0838756182, p. 77. ↑ Donald A. Low, ed., The Songs of Robert Burns (London: Routledge, 1993), ISBN 0203991117, p. 1054. ↑ D. A. Low, ed., The Songs of Robert Burns (London: Routledge, 1993), ISBN 0203991117, pp. 16–18. ↑ A. E. Hull, Music; Classical, Romantic & Modern (Ayer Publishing, 1927), ISBN 0836958039, p. 99. ↑ D. Conway, '"Short, Dark and Jewish-Looking": Felix Mendelssohn in Britain', The Jewish Year Book (2009), ed. S. Massil, p. xviii. ↑ Simon P. Keefe, ed., The Cambridge Companion to the Concerto (Cambridge: Cambridge University Press, 2005), ISBN 052183483X, p. 130. 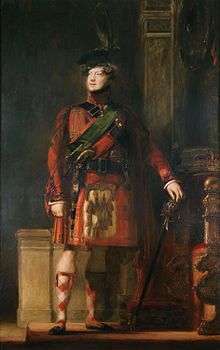 1 2 J. Stevenson, "William Wallace", Allmusic, retrieved 11 May 2011. ↑ I. G. C. Hutchison, "Workshop of Empire: The Nineteenth Century" in J. Wormald, ed., Scotland: A History (Oxford: Oxford University Press, 2005), ISBN 0191622435, p. 197. ↑ G. J. Williams, ed., Theatre Histories: An Introduction (London: Taylor & Francis, 2nd edn., 2010), ISBN 0415462231, p. 274. 1 2 3 A. Ichijo, Scottish Nationalism and the Idea of Europe: Concepts Of Europe and the Nation (London: Routledge, 2004), ISBN 0714655910, pp. 3–4. 1 2 C. Kidd, Subverting Scotland's Past: Scottish Whig Historians and the Creation of an Anglo-British Identity 1689–1830 (Cambridge: Cambridge University Press, 2003), ISBN 0521520193, p. 251. ↑ T. M. Devine and J. Wormald, Introduction, in T. M. Devine and J. Wormald, The Oxford Handbook of Modern Scottish History (Oxford: Oxford University Press, 2012), ISBN 0199563691, pp. 2–3. 1 2 M. Bently, "Shape and pattern in British historical writing, 1815–1945, in S. MacIntyre, J. Maiguashca and A. Pok, eds, The Oxford History of Historical Writing: Volume 4: 1800–1945 (Oxford: Oxford University Press, 2012), ISBN 0199533091, p. 206. ↑ M. Santini, The Impetus of Amateur Scholarship: Discussing and Editing Medieval Romances in Late-Eighteenth and Nineteenth-Century Britain (Peter Lang, 2009), ISBN 3034303289, p. 195. 1 2 I. Brown, The Edinburgh History of Scottish Literature: Enlightenment, Britain and Empire (1707–1918) (Edinburgh: Edinburgh University Press, 2007), ISBN 0748624813, p. 9. ↑ G. W. Stocking, Romantic Motives: Essays on Anthropological Sensibility (University of Wisconsin Press, 1996), ISBN 0299123642, p. 132. 1 2 M. Anesko, A. Ladd, J. R. Phillips, Romanticism and Transcendentalism (Infobase Publishing, 2006), ISBN 1438118562, pp. 7–9. ↑ T. Elsaesser, Weimar Cinema and After: Germany's Historical Imaginary (London: Routledge, 2000), ISBN 041501235X, p. 195. ↑ P. A. Westover, Traveling to Meet the Dead 1750—1860: A Study of Literary Tourism and Necromanticism (ProQuest, 2007), ISBN 0549497250, p. 101. ↑ Chris Vanden Bossche, ed., Writings of Thomas Carlyle, Historical Essays (University of California Press, 2002), ISBN 0520220617, pp. xxii–xxiii. ↑ S. Evdokimova, Pushkin's Historical Imagination (Yale University Press, 1999), ISBN 0300070233, pp. 33–4. ↑ C. Harvie, Scotland, a Short History (Oxford: Oxford University Press), ISBN 0192100548, p. 148. ↑ E. T. Bannet and S. Manning, Transatlantic Literary Studies, 1660–1830 (Cambridge: Cambridge University Press, 2011), ISBN 1107001579, p. 265. ↑ H. Ben-Israel, English Historians on the French Revolution (Cambridge: Cambridge University Press, 2002), ISBN 0521522234, p. 122. ↑ M. Bossi and S. Poggi, eds., Romanticism in Science: Science in Europe, 1790–1840 (Springer, 2010), ISBN 9048142849, p. 31. 1 2 J. L. Heilbron, The Oxford Companion To the History of Modern Science (Oxford: Oxford University Press, 2003), ISBN 0195112296, p. 386. ↑ W. E. Burns, Science in the Enlightenment: An Encyclopedia (ABC-CLIO, 2003), ISBN 1576078868, p. xviii. 1 2 J. R. Allard, "Medicine", in J. Faflak and J. M. Wright, eds, A Handbook of Romanticism Studies (Oxford: John Wiley & Sons, 2012), ISBN 1444356011, pp. 379–80. ↑ D. Berthold-Bond, Hegel's Theory of Madness (Suny, 1995), ISBN 0791425053, p. 13. ↑ H. De Almeida, Romantic Medicine and John Keats (Oxford: Oxford University Press, 1991), ISBN 0195063074, p. 68. ↑ H. De Almeida, Romantic Medicine and John Keats (Oxford: Oxford University Press, 1991), ISBN 0195063074, p. 3. ↑ H. M. Dingwall, A History of Scottish Medicine: Themes and Influences (Edinburgh: Edinburgh University Press, 2003), ISBN 0748608656, p. 3. ↑ H. De Almeida, Romantic Medicine and John Keats (Oxford: Oxford University Press, 1991), ISBN 0195063074, p. 323. ↑ N. Heringman, Romantic Rocks, Aesthetic Geology (Cornell University Press, 2004), ISBN 0801441277, p. xiv. ↑ A. Cunningham, N. Jardine, Romanticism and the Sciences (Cambridge: Cambridge University Press, 1990), ISBN 0521356857, p. 136. ↑ R. G. Olson and R. Olson, Science And Religion, 1450–1900: From Copernicus to Darwin (JHU Press, 2006), ISBN 0801884004, p. 187. ↑ A. Bates, The Anatomy of Robert Knox: Murder, Mad Science and Medical Regulation in Nineteenth-Century Edinburgh (Sussex Academic Press, 2010), ISBN 1845193814, p. 23. ↑ J. McLarren Caldwell, Literature And Medicine In Nineteenth-Century Britain: From Mary Shelley To George Eliot (Cambridge: Cambridge University Press, 2004), ISBN 0521843340, p. 14. ↑ A. Cunningham and N. Jardine, Romanticism and the Sciences (Cambridge: Cambridge University Press, 1990), ISBN 0521356857, pp. 134–5. ↑ F. Burwick, The Damnation of Newton: Goethe's Color Theory and Romantic Perception (Walter de Gruyter, 1986), ISBN 0899252079, p. 34. ↑ D. A. Young, Mind Over Magma: The Story of Igneous Petrology (Princeton University Press, 2003), ISBN 0691102791, p. 145. ↑ R. Hutchins, British University Observatories, 1772–1939 (Aldershot: Ashgate, 2008), ISBN 0754632504, p. 180. ↑ K. A. Neeley, Mary Somerville: Science, Illumination, and the Female Mind (Cambridge: Cambridge University Press, 2001), ISBN 0-521-62672-2, p. 230. ↑ M. T. Brück, Women in Early British and Irish Astronomy: Stars and Satellites (Springer, 2009), ISBN 9048124727, p. 102. ↑ J. L. Roberts, The Jacobite Wars: Scotland and the Military Campaigns of 1715 and 1745 (Edinburgh: Edinburgh University Press, 2002), ISBN 1902930290, pp. 193–5. 1 2 M. Sievers, The Highland Myth as an Invented Tradition of 18th and 19th Century and Its Significance for the Image of Scotland (GRIN Verlag, 2007), ISBN 3638816516, pp. 22–5. ↑ P. Morère, Scotland and France in the Enlightenment (Bucknell University Press, 2004), ISBN 0838755267, pp. 75–6. ↑ W. Ferguson, The identity of the Scottish Nation: an Historic Quest (Edinburgh: Edinburgh University Press, 1998), ISBN 0748610715, p. 227. ↑ N. C. Milne, Scottish Culture and Traditions (Paragon Publishing, 2010), ISBN 1899820795, p. 138. ↑ F. McLynn, The Jacobites (London: Taylor & Francis, 1988), ISBN 0415002672, p. 211. 1 2 A. Ichijo, Scottish Nationalism and the Idea of Europe: Concepts Of Europe and the Nation (London: Routledge, 2004), ISBN 0714655910, pp. 35–6. ↑ A. Ichijo, Scottish Nationalism and the Idea of Europe: Concepts Of Europe and the Nation (London: Routledge, 2004), ISBN 0714655910, p. 37. 1 2 N. Davidson, The Origins of Scottish Nationhood (Pluto Press, 2008), ISBN 0-7453-1608-5, p. 187. ↑ D. Hempton, Religion and Political Culture in Britain and Ireland: From the Glorious Revolution to the Decline of Empire (Cambridge: Cambridge University Press, 1996), ISBN 0521479258, p. 69. ↑ Paul C. Gutjahr, Charles Hodge: Guardian of American Orthodoxy (Oxford: Oxford University Press, 2011), ISBN 0199740429, p. 39. ↑ E. J. Wilson and P. H. Reill, Encyclopedia of the Enlightenment (Infobase Publishing, 2nd edn., 2004), ISBN 0816053359, pp. 499–501. 1 2 3 4 B. W. Redekop, "Reid's influence in Britain, Germany, France and America", in T. Cuneo and R. van Woudenberg, eds, The Cambridge Companion to Thomas Reid (Cambridge: Cambridge University Press, 2004), ISBN 0521012082, pp. 313–40. ↑ C. Loring Brace, Evolution In An Anthropological View (Rowman & Littlefield, 2000), ISBN 0742502635, p. 51. ↑ J. Skorupski, The Cambridge Companion to Mill (Cambridge: Cambridge University Press, 1998), ISBN 0521422116, p. 143. ↑ A. Hook, "The French taste for Scottish Romantic literature", in D. Dawson and P. Morère, eds, Scotland and France in the Enlightenment (Bucknell University Press, 2004), ISBN 0838755267, p. 93. ↑ M. Kuehn, Scottish Common Sense in Germany, 1768–1800: A Contribution to the History of Critical Philosophy (McGill-Queens, 1987), ISBN 0773510095, pp. 144 and 166. ↑ P. Poplawski, English Literature in Context (Cambridge: Cambridge University Press, 2008), ISBN 0521839920, p. 306. ↑ J. P. Klancher, A Concise Companion to the Romantic Age (Oxford: John Wiley & Sons, 2009), ISBN 0631233555, p. 1. ↑ M. Hinson, Anthology of Romantic Piano Music (Alfred Music Publishing, 2002), ISBN 0739024094, p. 4. ↑ G. E. Paul Gillespie, Romantic Drama (John Benjamins, 1994), ISBN 1556196008, p. 32. 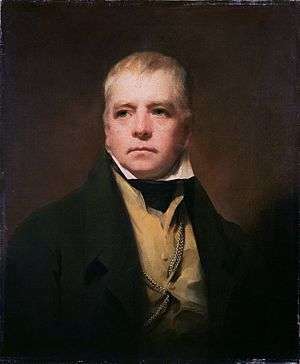 ↑ I. Duncan, "Walter Scott" in D. S. Kastan, The Oxford Encyclopedia of British Literature, Volume 1 (Oxford: Oxford University Press, 2006), ISBN 0195169212, p. 462. ↑ I. Duncan, Scott's Shadow: The Novel in Romantic Edinburgh (Princeton University Press, 2007), ISBN 0691043833, p. 306. ↑ A. Blaikie, The Scots Imagination and Modern Memory (Edinburgh: Edinburgh University Press, 2010), ISBN 0748617868, pp. 111–12. ↑ F. Fowle, "Patterns of taste: Scottish collectors and the making of cultural identity in the late nineteenth century", in F. Cullen, J. Morrison, eds, A Shared Legacy: Essays On Irish And Scottish Art And Visual Culture British Art and Visual Culture Since 1750, New Readings (Aldershot: Ashgate Publishing, Ltd., 2005), ISBN 0754606449, pp. 181–2. ↑ J. Gifford, Perth and Kinross (Yale University Press, 2007), ISBN 0300109229, p. 83. ↑ T. S. Martin, Green History: The Future of the Past (University Press of America, 2000), ISBN 0761816100, p. 85. ↑ A. Walton Litz, Modernism and the New Criticism (Cambridge: Cambridge University Press, 2000), ISBN 0521300126, p. 378. ↑ Walter A. Elwell, ed., Evangelical Dictionary of Theology (Baker Academic, 2nd edn., 2001), ISBN 0801020751, p. 1079. ↑ G. Carruthers and A. Rawesin "Introduction: romancing the Celt", in G. Carruthers and A. Rawes, eds, English Romanticism and the Celtic World (Cambridge: Cambridge University Press, 2003), ISBN 052181085X, p. 6. ↑ P. Melville Logan, O. George, S. Hegeman and E. Kristal, The Encyclopedia of the Novel, Volume 1 (Oxford: John Wiley & Sons, 2011), ISBN 1405161841, p. 384. ↑ F. M. Szasz, Scots in the North American West, 1790–1917 (University of Oklahoma Press, 2000), ISBN 0806132531, p. 136. ↑ B. Marshall and C. Johnston, France and the Americas: Culture, Politics, and History: a Multidisciplinary Encyclopedia, Volume 2 (ABC-CLIO, 2005), ISBN 1851094113. ↑ M. D. Prentis, The Scots in Australia (UNSW Press, 2008), ISBN 1921410213, p. 166. ↑ W. Apel, Harvard Dictionary of Music (Harvard University Press, 2nd edn., 1969), ISBN 0674375017, p. 760. ↑ Robert D. Purrington, Physics in the Nineteenth Century (Rutgers University Press, 1997), ISBN 0813524423, p. 14. ↑ N. Davidson, The Origins of Scottish Nationhood (Pluto Press, 2000), ISBN 0745316085, pp. 162–3 and 200-1. ↑ G. Jack and A. M. Phipps, Tourism And Intercultural Exchange: Why Tourism Matters (Channel View Publications, 2005), ISBN 1845410173, p. 147.